In 1982, seven people died in the Chicago area due to an unknown mal-inteded person replacing Johnson & Johnson Tylenol tablets with cyanide tablets. This was an extremely big deal and it completely changed the world in a few different ways let's look at how. It's important to first realize the scope of Tylenol at this time, it held an impressive 37% market share and contributed to 19% of J&J's total profits. Tylenol was so pervasive in fact that if it had been it's own corporate entity, it would be in the top half of the Fortune 500. Electronic media was extremely prevalent, tons of families across the USA had televisions and would tune in for the news every day. When people began showing up at hospital, they found the common factor quite quickly and news reporters were the first to get to the scene as well as approach J&J for comment. J&J previously unaware to the tamperings of their product heard about the problem first from a reporter, a shocking situation for anyone to be in. "We got a call from a Chicago news reporter. He told us that the medical examiner there had just given a press conference-people were dying from poisoned Tylenol. He wanted our comment. As it was the first knowledge we had here in this department, we told him we knew nothing about it. In that first call we learned more from the reporter than he did from us." -PR Director for J&J Robert Andrews, recalling the unfolding of events. J&J immediately formed a special task force and went onto the news saying that noone should buy any Tylenol until they could figure out the route of the problem. 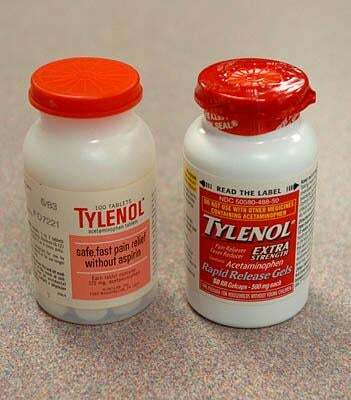 They utilized the media to perform a mass recall of all Tylenol in the greater Chicago area, set up an emergency phone number for concerned people to contact and appeared on numerous television programs both local and national to address the issue. Within 6 months, J&J would unwittingly change the entire industry in two ways: They had just developed an ideal response to an emergency crisis that is still followed by PR divisions in companies around the world today. The more recognizable change was the application of product safety labels. J&J included a glued packaging box, a heat-shrinked plastic wrap over the neck and cap of the bottle and a foil seal underneath the cap of the bottle. Printed along the box were instructions to not use the product if any evidence of tampering was present so that they could ensure that the correct medicine was there and not the poisonous cyanide. Companies from not only the medicine industry quickly saw the benefit of providing this customer protection service and implemented it quickly into their production and manufacturing/ packaging lines. The result is nearly ubiquitous adoption of the technique around the world as well as consumer faith being restored in the Tylenol brand which still holds a demanding market presence in the USA today. Can you think of any other challenges company's faced that resulted in an industry wide adoption that benefited society as a whole?